I know we have a local expert on this one, Frstprzfa, even if she's a little frustrated working on it. 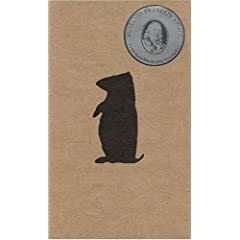 For note, Duck Miller is a pseudonym, and I don't think the prize for this little book is as sparkly as $1 M in gems, but from what I hear there are no images... and that might be a refreshing change. "In this collection of 10 intriguing short stories, readers can search out and discover the embedded allusions and references to solve a literary puzzle and embark upon a search for an unmistakable key hidden on accessible public property within the borders of the United States. This unique, interactive book poses a challenge to would-be sleuths. For those not inclined toward solving the puzzle, the stories can be read and reread simply as literary entertainment"
Can anyone post more on this book? I looked at it on amazon, but was wondering if anything's been found? I'm also just interested in hearing opinions/perspectives if you have read it... or are reading it currently. From destructo's description.. about it having no pictures and being just text... it sounds intriguing and might be something that fits better with the way I think than ATT. Anyway, rambling here... any more info would be great! I purchased the book a couple of weeks ago. There are no illustrations in the book except for maps on the inside covers. It is a collection of 10 short stories. All clues are within the text itself. As far as I know the key has not yet been found. You speakeath the Pennslyvania Dutch??? I am not from the PA area, and mean no disrespect, but my mamma was from Lane County PA. She would sometimes say the strangest things and one thing she called ground hogs was a Whistle Pig. She would hollar out the car window and they would whistle back. Guess she believed in fairies??? Anyways, maybe this book deals with that kind of language. Think it is basically German based, but the Pennslyvania Dutch do have their own "slang" if you will. Ouch! Sorry about your unhappiness with this book, Denise. Anyway, despite that, I did order the book and just got it in today. I'll read it and work on it periodically to get a break from PALMS and ATT... then I'll read up on what has been posted at Q4T. What does this key go to? Anyone know? I've had this book for almost 1 1/2 yrs and could never get into it. I have a 'signed' copy, in fact. Funny thing is, the brown wrapper around the book was signed, not the book itself. No biggie, anyway. I think the biggest unmotivator for me was the fact that what the key supposedly opens (if anything) never has been mentioned! Not on the official website, not in interviews or news articles. Nowhere! I have a feeling the prize is more 'spiritual' than 'material', but I could be wrong. Either way, it just doesn't interest me! Just got this book and read it cover-to-cover. I was expecting folk tales but it was more like hippie tales. I also note that his official website, www.thewhistlepig.net is no longer there. I've written the publisher to get any information and I'll probably call them on Monday as well. I've also e-mailed the address of the person who registered the domain name, a Mr. Duck Miller, so we'll see if that pans out. These stories will leave you hanging. Who was the rock star? Why did the van leave - stolen or running? What date was marked on the calendar? Who was born under the bow and how did he get so famous? It's obvious at first that clues have been forced in. But I don't want to waste too much time if this is over. I get the feeling this book was written by somebody famous who doesn't want to be known. Edit: I just found the author's real name, I think. He took second place in a book design awards banquet and his name was listed as the art director, designer, illustrator, photographer, and project manager. Not sure why this book would win such an award as there are none of those things in this book. You can still view The Whistle Pig website pages. There really doesn't seem to be much interest with this book, at least not any more.